The route leads to western China, up and over the Pamir mounains in Tajikistan where seemingly all “cycling around the world” tours converge. 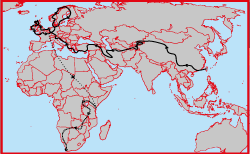 South through Iran and Turkey, the route ends in Istanbul. There are several modern obstacles to traveling this route, and I was going to face one of them from the start: A chinese visa. It’s not possible to get one directly in Taiwan, since China considers the island to be a rebellious province. Travel agents can do it by sending the passport to Hong Kong, but then i might just do that myself. 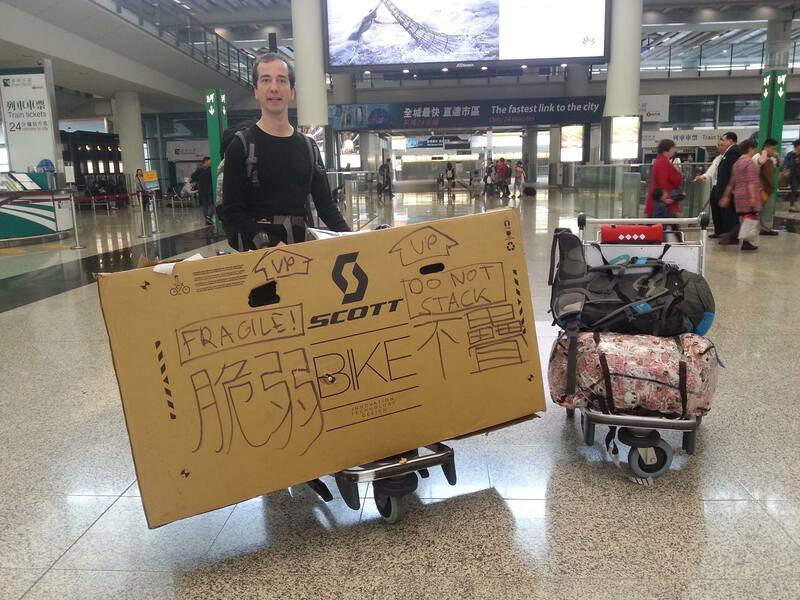 Flying to Hong Kong with our bicycles also gave us a good starting point for our tour. 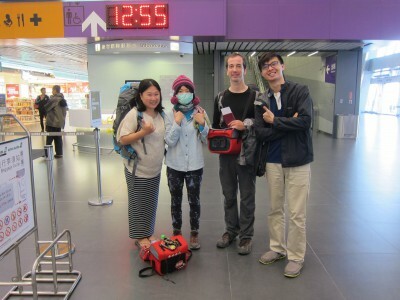 We booked a flight with Hong Kong Express on March 6. 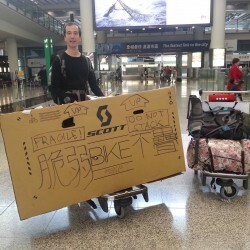 They fly out of Taichung, where we lived, and transported the bicycles for a reasonable fee. 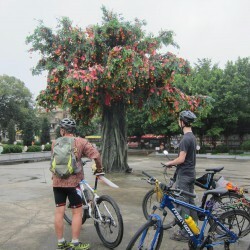 All together about NT$7500, or EUR200, for 2 people, 2 bicycles and 25 kg luggage. Our preparations were going well until Yuily got a flu 4 days before departure. She couldn’t really do anything but sleep while I was taking care of her and doing all the packing I could. Thanks to 185 Warehouse I got some bicycle boxes and help disassembling the things while other errands ran deep into the night with a following lack of sleep. Thanks to our friend giving us a lift to the airport we made it with no further complications other than Yuily still being uncomfortably sick. Emotional goodbyes followed, not just from our friends, but also from a country we both really love – we don’t know when we’ll be back here again? After a short flight and retrieving our luggage I started to assemble the bikes. Fast forward 90 minutes and I was done, but then Yuily noticed her front tire was flat. It must’ve been pinched too hard in the box. I started to quickly change the tube, pumped it up and it immediately lost air – the valve was broken. I took it out again and put another one in, which correctly inflated. Just as I put the wheel back on the bike, the tube exploded with a loud bang, scaring everyone around us (we were still in the airport). I must’ve put on the tire incorrectly. Yuilys spare tubes now all destroyed, I put one of mine in (which are slightly larger) and did everything more carefully and patiently this time. It seemed to work. We were going to take a ferry and then cycle to our hosts place, but with all those delays we missed the last one. It’s impossible to cycle all the way since a bridge on the way doesn’t allow bicycles. 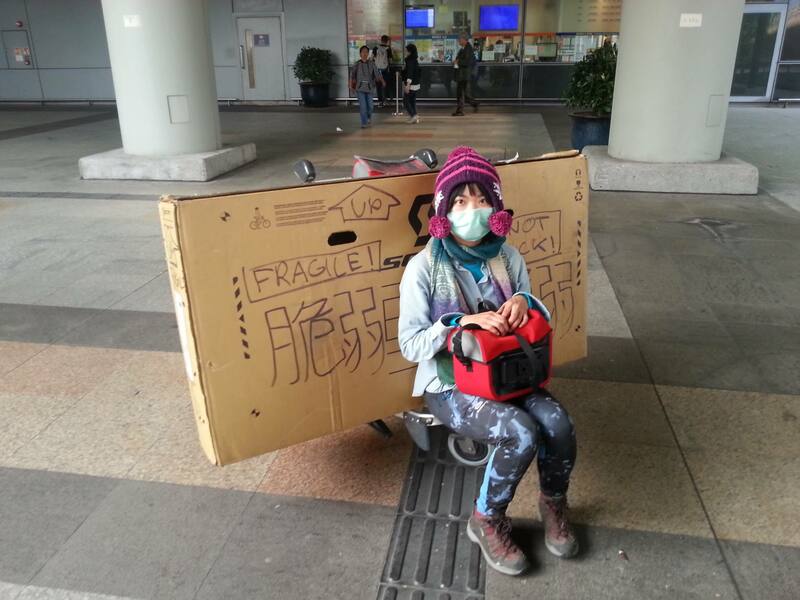 Luckily the Hong Kong MTR takes bicycles free of charge, provided the front wheel is removed. So we cycled about 6 km to the nearest station and got on the train. Station staff told us to remove the front wheel, but we quickly went past them and they didn’t pursue the matter – probably recognizing that loaded touring bikes are impossible to handle on one wheel. 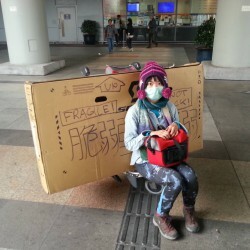 After about 90 minutes and two interchanges we arrived – I got to say, when you push a loaded touring bike through a subway station, you really appreciate the infrastructure for disabled people such as ramps and elevators! After a quick ride from the station we arrived, were welcomed by our host and his family. 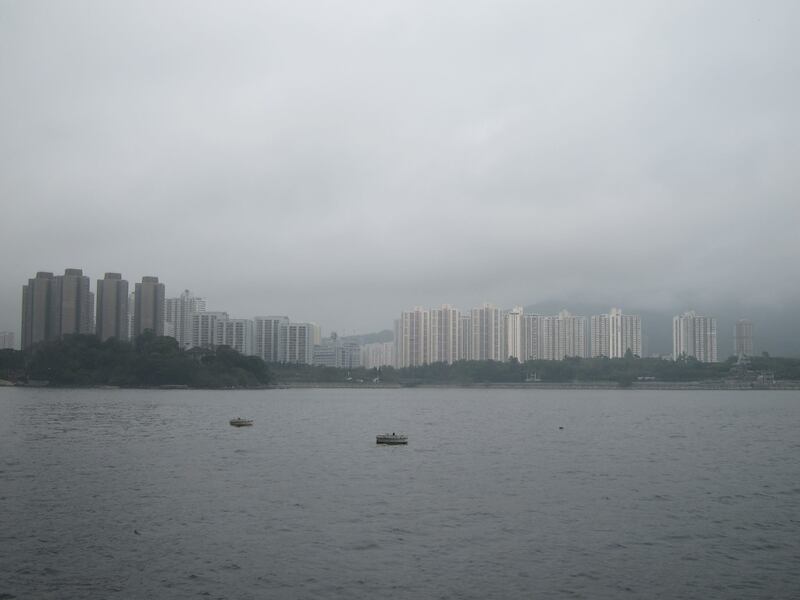 He and his wife both toured extensively and were really really great to us letting us stay there, as people in Hong Kong usually have very little space in their homes. We didn’t mind one bit that we had to sleep on the living room floor. The next day, a Monday, I went to apply for my Chinese visa, while Yuily recovered. 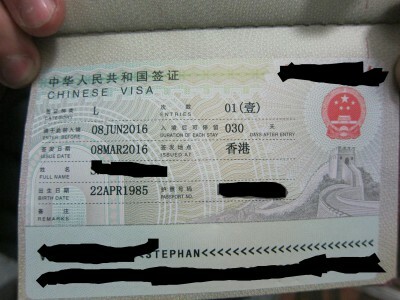 It has progressively gotten harder for foreigners to get a visa in Hong Kong, as you now need to use approved agencies. Two names get tossed around frequently: China Travel Service (CTS) and Forever Bright. I tried CTS first as they had an office just in the train station. They ended up wanting all the documents, such as flight and hotel bookings and a travel plan and HK$470 for a 30 days single entry visa. No, thanks. Forever Bright was more helpful. I wanted to aim for the longest visa possible, and while they said they could get a 3 month one, it would cost HK$8000 (about €1000) and take 2-3 weeks to process. Ouch. The next best thing was a double entry, which each entry good for 30 days. I could spend 30 days in the country, exit, enter again, stay 30 days, at the end of which I could (maybe, depending on the officials) extend it for another 30 days, bringing the grand total to 90. At HK$550, I applied and gave it a go. All they needed was a passport photo. 4 days processing time. With at least four more days to spend in Hong Kong, we used the time to meet up with some friends. Yuilys condition slowly improved as well and we were able to go for some bike rides. 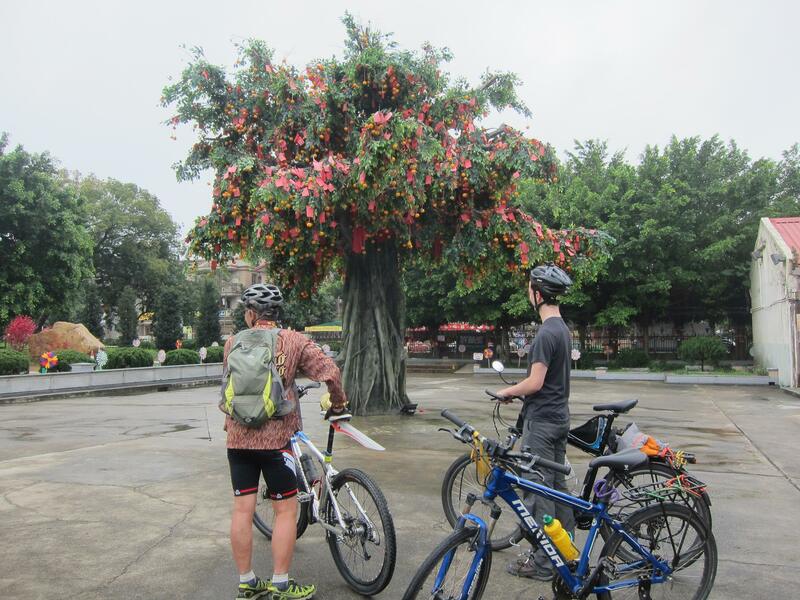 On Wednesday our hosts had a day off as well and showed us some hidden (and I truly mean hidden) gems of Hong Kong on their bicycles. It took the whole day and we were going on very narrow paths through some ancient villages and really close to the border. 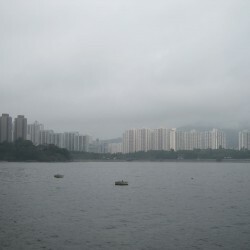 Hong Kong is full of nature and it’s really well preserved, possibly better than most other places around the world. Come Thursday and it was time to pick up my visa. When the agent picked up my passport, he worringly saw that it was a single entry only. He mentioned that the Chinese officials sometimes do this and don’t give a reason as to why. At least my fee was lowered accordingly to HK$450, which came down to HK$350 with a coupon from their website. Now I would have to try to go the two extensions route. One visa extension is usually possible for many travelers, with the second one, while officially not possible, hit-or-miss – many cities deny it. So I would have 60 days in China for sure, 90 maybe. We’ll see what happens, at least I won’t have to exit and re-enter the country. 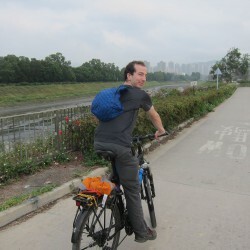 We gave ourselves an extra night in Hong Kong as I organized a WarmShowers stay (like Couchsurfing for cyclists) in Zhuhai for the next night. 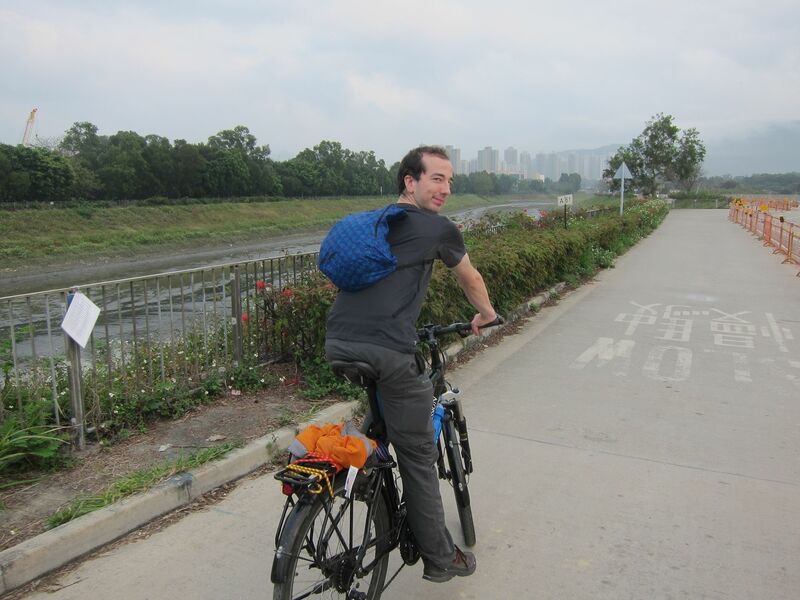 This would give us time to do the border crossing and cycling and navigating in Shenzhen and Zhuhai respectively. China, are you ready? Are we ready? Continue to the next part!